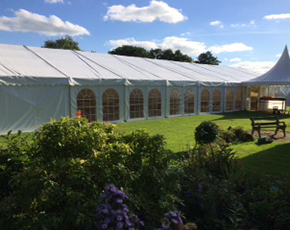 Our contemporary, aluminium frame marquees are manufactured to the highest standards. 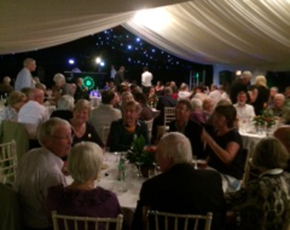 We have a range of options for you to choose from to make your day special. 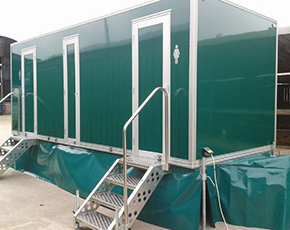 We also offer luxury trailer WC units. 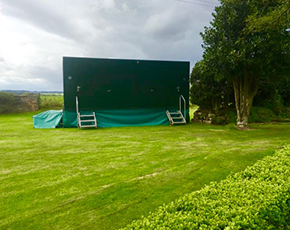 If your event is in a remote location or an area without access to WCs, our trailer units provide the comfort and cleanliness your day deserves. 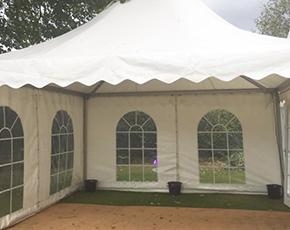 To compliment our marquee hire we have sectional wooden flooring, carpeting, dance floors, linings, furniture, generators and heaters all available for hire. 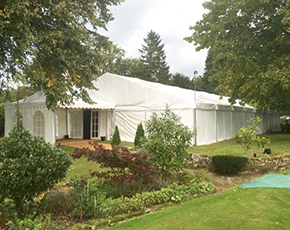 We’ll arrange the right package for your event and ensure that everything runs smoothly. 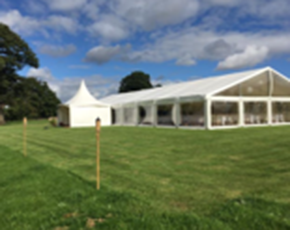 We’ll contact you with times and dates for construction and take down and once we hand over the marquee we’ll leave you with guidance on all the installations. 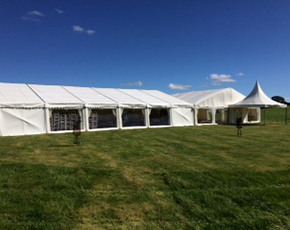 CONTACT US ABOUT YOUR MARQUEE REQUIREMENTS.